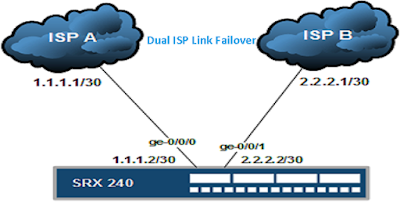 We can use the rapid spanning-tree protocol on Mikrotik to avoid layer two loops while creating redundancy on our networks. In this lab, I will be using two connections (one fiber and the other wireless, both connecting the HQ office to the a branch office) to demonstrate how we can create a layer two redundancy to automatically switch from the fiber to the wireless point-to-point link whenever the fibre goes down. The rapid spanning-tree protocol is an upgrade of the spanning-tree protocol introduced many years ago. Over the years, STP has been found to be too slow for today’s application-hungry networks because of its slow convergence time. As a remedy, the RSTP was introduced and the good news is that the Mikrotrik routeros is capable of this feature. The task is to elect SWA the root bridge and make the fiber link becomes the preferred path to the branch office. The connection should fail over to the wireless link if for any reason the fiber link goes down. The following will be done on both Mikrotik switches. Please note that the devices labeled SWA and SWB are Mikrotik routers while HQ and BO can be any vendor’s router and are not configured in this lab. A breakdown of the tasks is as follows. On SWB, ether2 port will be placed in discarding state and will only transition to forwarding once ether1 goes down. This time for this transitioning is using a few seconds or milliseconds. Cisco CCNA: analyzing spanning tree protocol, from start to finish.